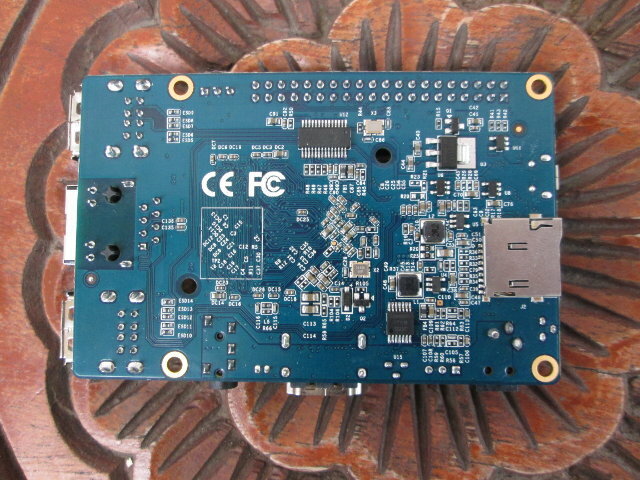 I’ve recently received a kit based on Orange Pi mini 2 development board powered by Allwinner H3 quad core processor, but contrary to most other devices or boards I reviewed, this one what sent to me by one of my reader (thanks Jon!) as for various reasons he did not need to get it shipped to him. Today, I’ll start by showing off the kit I received, before writing a quick start guide showing how to install a Debian, and build your own Linux image. The instructions will work for all Orange Pi Allwinner H3 boards, including Orange Pi 2, Orange Pi Plus, and the recently launched Orange Pi PC, which has been rather popular thanks to its low $15 price tag. The board with a regulatory compliance and safety information sheet, as well as a 5V/2A power supply, that was bought as part of a kit for $28.90 on Aliexpress. Bear in mind that although Orange Pi boards feature a micro USB OTG port, AFAIK none of them can be power via the micro USB connector, and instead you need to make you have a 5V power adapter with the right barrel size, meaning you can re-use your old smartphone’s charger like you would do with a Raspberry Pi. Shenzhen Xunlong normally offers various kits including power supply and/or acrylic case on their Aliexpress store. I’ve taken the board out of its anti-static bag, and taken some close up pictures. So my board does not include flash, nor a WiFi module (located on the top left corner on the top), which I’ll connect the board via Ethernet, and boot from a micro SD card. 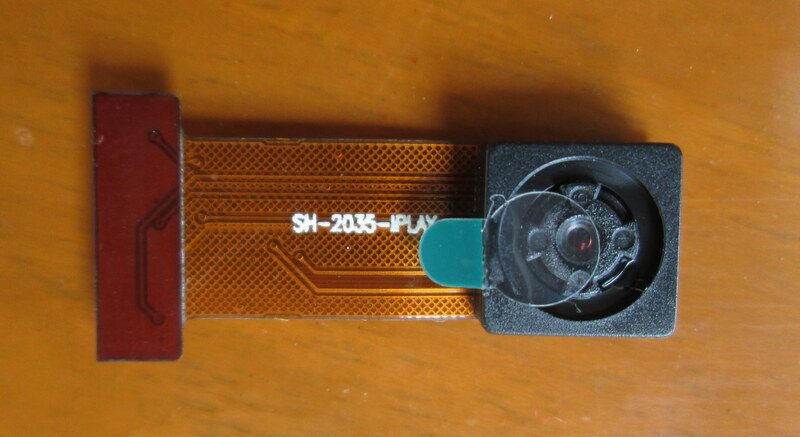 The cable reads SH-2035-IPLAY, and it must the be the $5.90 camera sold on Aliexpress by Xunlong Software, Orange Pi board makers, although the picture differs a bit. So I looked for some documentation about the camera on Orange Pi website, and I found… nothing… Until I looked into the forums, and found somebody managed to make it work after many efforts, as the firmware images were not setup for the camera, and the driver was also missing. I initially intended to try out the camera in this getting started guide, but it will have to be a separate post. 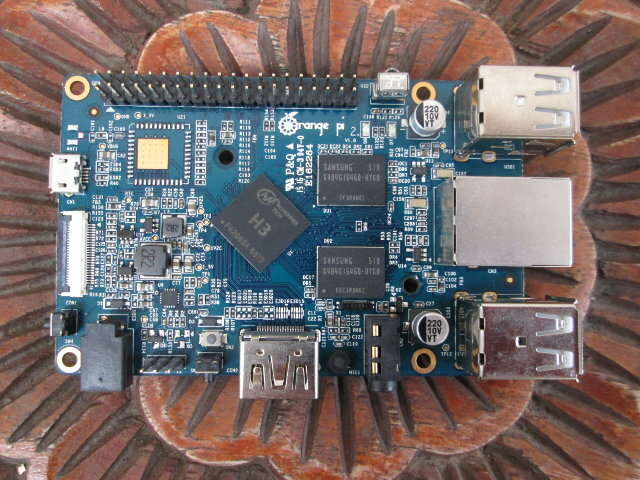 Orange Pi Allwinner H3 boards support both Android and Ubuntu, but most people buying such development board are likely to prefer running a Linux distribution, and I’ve already tested Android on Allwinner H3 when I reviewed Zidoo X1, so I decided to focus on Linux in this getting started guide. Orange Pi 2 boards and Zidoo X1 are pretty similar hardware platform, and I’ve already installed Orange Pi 2 Lubuntu 14.04 on Zidoo X1 downloaded from Orange Pi Downloads page, and vice versa, Zidoo X1 Android image has also been tested on Orange Pi 2. And in both cases the images run fine, although with some caveats such as WiFi not working with Linux on Zidoo X1. 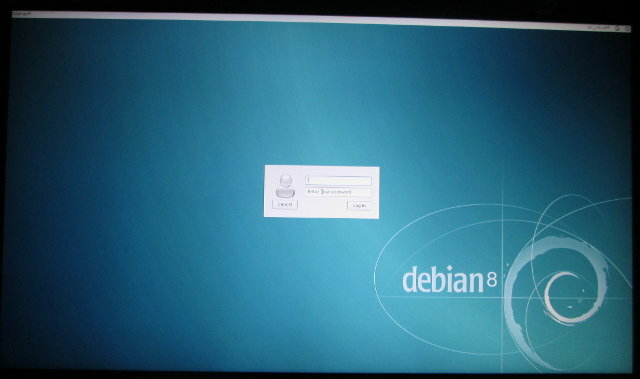 However, I’ve been recommended to use Linux images released by Loboris forum member instead, so that’s what I’ve done, and among the various Ubuntu, Lubuntu, and Debian images available, I’ve decided to go with Debian 8 Jessie + XFCE image (OrangePI_Jessie_Xfce.img.xz), and you can download the images from Mega or Google Drive. Minimal images without desktop environment for headless operation are also available. You’ll need a Linux or Windows PC, and a micro SD card to install the Linux image. Note: If you are using Windows, use Win32DiskImager to flash the image to the micro SD card instead of going through the first 4 steps shown above. Remove the micro SD card, and reinsert it again in your computer, it should automount two partitions in the SD card: linux and BOOT. Done! The micro SD card is now ready. You can insert it into your board, and connect the power. After a few seconds you should start seeing the kernel log on the screen, and a little later the login screen. Now power off the board, remove the micro SD card, and start again to run Linux. The installation is now complete, have fun! The whole process what quite straightforward thanks to clear instructions provided by Loboris. I’ve quickly tested the image. Chromium is pre-installed, and the developer must be from Croatia, since Chromium will start google.hr by default. Web browsing is fine, but Adobe flash (libpepperflash) is not installed, Thai language is not supported, and Youtube videos are super slow and unwatchable in Chromium. Having said that, you can use SMPlayer to watch YouTube video perfectly fine… in windowed mode (as shown in the screenshot below), but if you go full screen the system can’t cope. I’ve also tried to play a 1080p H.264 video locally, but it won’t play smoothly at all. es2gears (installed with apt-get install mesa-utils-extra) runs, but es2_info reports the render is the software rasterizer. So the image does not support 2D/3D GPU acceleration nor hardware video decoding, but this was to be expected, and these two are usually time consuming to implement. If you need OpenGLES or hardware video decoding, you’ll need to use Android instead. The language issues and lack of Adobe flash support in Chromium should be easy to fix yourself by installing the needed software package such as libpepperflash. I had no problem accessing Internet using Ethernet, I just connected the cable and was good to go. You’ll notice that the CPU frequency is set to 1.5GHz, instead of 1.2GHz in consumer devices like Zidoo X1, so if you plan to run the system at full speed for an extended period of time, e.g. to build the kernel, you may consider adding a heatsink and a fan to the board. [ 0.484][mmc]: get sdc_phy_wipe fail. [ 0.488][mmc]: get sdc0 sdc_erase fail. auto hpd check has 0 times! [ 0.060255] SMP: Total of 4 processors activated (19200.00 BogoMIPS). [ 0.063132] wakeup src cnt is : 1. [ 0.074436] hw-breakpoint: found 5 (+1 reserved) breakpoint and 4 watchpoint. [ 0.074436] hw-breakpoint: maximum watchpoint size is 8 bytes. [ 0.180684] twi_chan_cfg()335 - [twi0] has no twi_regulator. [ 0.180684] twi_chan_cfg()335 - [twi1] has no twi_regulator. [ 0.180684] twi_chan_cfg()335 - [twi2] has no twi_regulator. [ 0.180694] Advanced Linux Sound Architecture Driver Version 1.0.25. [ 0.205736] RPC: Registered named UNIX socket transport module. [ 0.205764] RPC: Registered udp transport module. [ 0.205782] RPC: Registered tcp transport module. [ 0.205801] RPC: Registered tcp NFSv4.1 backchannel transport module. [ 0.373421] Installing knfsd (copyright (C) 1996 okir@monad.swb.de). [ 0.374072] NTFS driver 2.1.30 [Flags: R/W]. [ 0.395144] [DISP] Fb_map_kernel_logo,line:925:Fb_map_kernel_logo failed! [ 0.452010] sw_uart_get_devinfo()1503 - uart0 has no uart_regulator. [ 0.452161] sw_uart_get_devinfo()1503 - uart1 has no uart_regulator. [ 0.452307] sw_uart_get_devinfo()1503 - uart2 has no uart_regulator. [ 1.423178] sunxi_spi_chan_cfg()1355 - [spi-0] has no spi_regulator. [ 1.801619] sunxi_spi_chan_cfg()1355 - [spi-1] has no spi_regulator. [ 2.468086] USB Mass Storage support registered. [ 2.818920] ls_fetch_sysconfig_para: type err device_used = 0. [ 2.840842] ltr_init: ls_fetch_sysconfig_para err. [ 2.912363] [cedar]: install start!!! [ 2.921661] [cedar]: install end!!! [ 3.059078] [mmc]: get mmc0's sdc_power is null! [ 3.082751] [mmc]: get mmc1's sdc_power is null! [ 3.276671] Netfilter messages via NETLINK v0.30. [ 3.301521] ctnetlink v0.93: registering with nfnetlink. [ 3.325013] NF_TPROXY: Copyright (c) 2006-2007 BalaBit IT Ltd.
[ 3.642653] ThumbEE CPU extension supported. [ 3.727058] ths_fetch_sysconfig_para: type err device_used = 1. [ 3.830335] [rf_pm]: regulator on. [ 3.839563] [wifi_pm]: wifi gpio init is OK !! [ 4.722355] [mmc]: *** sunxi_mci_dump_errinfo(L826): smc 0 err, cmd 52, RTO! [ 4.738049] [mmc]: *** sunxi_mci_dump_errinfo(L826): smc 0 err, cmd 52, RTO! [ 4.803242] [mmc]: *** sunxi_mci_dump_errinfo(L826): smc 0 err, cmd 5, RTO ! [ 4.817944] [mmc]: *** sunxi_mci_dump_errinfo(L826): smc 0 err, cmd 5, RTO ! [ 4.832484] [mmc]: *** sunxi_mci_dump_errinfo(L826): smc 0 err, cmd 5, RTO ! [ 4.846454] [mmc]: *** sunxi_mci_dump_errinfo(L826): smc 0 err, cmd 5, RTO ! [ 6.691605] systemd: Detected architecture 'arm'. [ 6.770453] systemd: Set hostname to . [ 7.081716] systemd: Starting Forward Password Requests to Wall Directory. [ 7.095354] systemd: Started Forward Password Requests to Wall Directory . [ 7.125093] systemd: Starting Remote File Systems (Pre). [ 7.146369] systemd: Reached target Remote File Systems (Pre). [ 7.158091] systemd: Starting Encrypted Volumes. [ 7.173667] systemd: Reached target Encrypted Volumes. [ 7.184582] systemd: Starting Dispatch Password Requests to Console Direc. [ 7.198511] systemd: Started Dispatch Password Requests to Console Direct. [ 7.212295] systemd: Starting Paths. [ 7.226768] systemd: Reached target Paths. [ 7.236604] systemd: Set up automount Arbitrary Executable File Formats F.
[ 7.252059] systemd: Starting Swap. [ 7.266476] systemd: Reached target Swap. [ 7.292951] systemd: Starting Root Slice. [ 7.307935] systemd: Created slice Root Slice. [ 7.318107] systemd: Starting User and Session Slice. [ 7.334425] systemd: Created slice User and Session Slice. [ 7.345839] systemd: Starting /dev/initctl Compatibility Named Pipe. [ 7.363916] systemd: Listening on /dev/initctl Compatibility Named Pipe. [ 7.376868] systemd: Starting Delayed Shutdown Socket. [ 7.393658] systemd: Listening on Delayed Shutdown Socket. [ 7.405165] systemd: Starting Journal Socket (/dev/log). [ 7.421960] systemd: Listening on Journal Socket (/dev/log). [ 7.433592] systemd: Starting udev Control Socket. [ 7.454787] systemd: Listening on udev Control Socket. [ 7.465911] systemd: Starting udev Kernel Socket. [ 7.481934] systemd: Listening on udev Kernel Socket. [ 7.492957] systemd: Starting Journal Socket. [ 7.508824] systemd: Listening on Journal Socket. [ 7.519583] systemd: Starting System Slice. [ 7.535252] systemd: Created slice System Slice. [ 7.545943] systemd: Started File System Check on Root Device. [ 7.557945] systemd: Starting system-getty.slice. [ 7.574479] systemd: Created slice system-getty.slice. [ 7.585825] systemd: Starting system-serial\x2dgetty.slice. [ 7.603414] systemd: Created slice system-serial\x2dgetty.slice. [ 7.615778] systemd: Mounted POSIX Message Queue File System. [ 7.627822] systemd: Mounted Huge Pages File System. [ 7.639198] systemd: Starting Create list of required static device nodes. [ 8.042746] systemd: Started Set Up Additional Binary Formats. [ 8.183227] [wifi_pm]: set wl_reg_on 0 ! [ 8.279937] systemd: Started Journal Service. [ 8.312427] [mmc]: *** sunxi_mci_dump_errinfo(L826): smc 1 err, cmd 52, RTO! [ 8.313260] [mmc]: *** sunxi_mci_dump_errinfo(L826): smc 1 err, cmd 52, RTO! [ 8.317733] [mmc]: *** sunxi_mci_dump_errinfo(L826): smc 1 err, cmd 8, RTO ! [ 8.318590] [mmc]: *** sunxi_mci_dump_errinfo(L826): smc 1 err, cmd 5, RTO ! [ 8.319436] [mmc]: *** sunxi_mci_dump_errinfo(L826): smc 1 err, cmd 5, RTO ! [ 8.320273] [mmc]: *** sunxi_mci_dump_errinfo(L826): smc 1 err, cmd 5, RTO ! [ 8.321108] [mmc]: *** sunxi_mci_dump_errinfo(L826): smc 1 err, cmd 5, RTO ! [ 8.321950] [mmc]: *** sunxi_mci_dump_errinfo(L826): smc 1 err, cmd 55, RTO! [ 8.322781] [mmc]: *** sunxi_mci_dump_errinfo(L826): smc 1 err, cmd 55, RTO! [ 8.323614] [mmc]: *** sunxi_mci_dump_errinfo(L826): smc 1 err, cmd 55, RTO! [ 8.324444] [mmc]: *** sunxi_mci_dump_errinfo(L826): smc 1 err, cmd 55, RTO! [ 8.325422] [mmc]: *** sunxi_mci_dump_errinfo(L826): smc 1 err, cmd 1, RTO ! [ 8.344315] [wifi_pm]: set wl_reg_on 1 ! [ 8.372625] [mmc]: *** sunxi_mci_dump_errinfo(L826): smc 1 err, cmd 52, RTO! [ 8.373723] [mmc]: *** sunxi_mci_dump_errinfo(L826): smc 1 err, cmd 52, ! [ 8.378544] [mmc]: *** sunxi_mci_dump_errinfo(L826): smc 1 err, cmd 8, RTO ! [ 8.379644] [mmc]: *** sunxi_mci_dump_errinfo(L826): smc 1 err, cmd 5, RTO ! [ 8.380734] [mmc]: *** sunxi_mci_dump_errinfo(L826): smc 1 err, cmd 5, RTO ! [ 8.381824] [mmc]: *** sunxi_mci_dump_errinfo(L826): smc 1 err, cmd 5, RTO ! [ 8.382914] [mmc]: *** sunxi_mci_dump_errinfo(L826): smc 1 err, cmd 5, RTO ! [ 8.384010] [mmc]: *** sunxi_mci_dump_errinfo(L826): smc 1 err, cmd 55, RTO! [ 8.385100] [mmc]: *** sunxi_mci_dump_errinfo(L826): smc 1 err, cmd 55, RTO! [ 8.386191] [mmc]: *** sunxi_mci_dump_errinfo(L826): smc 1 err, cmd 55, RTO! [ 8.387280] [mmc]: *** sunxi_mci_dump_errinfo(L826): smc 1 err, cmd 55, RTO! [ 8.388491] [mmc]: *** sunxi_mci_dump_errinfo(L826): smc 1 err, cmd 1, RTO ! [ 8.433142] [mmc]: *** sunxi_mci_dump_errinfo(L826): smc 1 err, cmd 52, RTO! [ 8.434766] [mmc]: *** sunxi_mci_dump_errinfo(L826): smc 1 err, cmd 52, RTO! [ 8.440397] [mmc]: *** sunxi_mci_dump_errinfo(L826): smc 1 err, cmd 8, RTO ! [ 8.442036] [mmc]: *** sunxi_mci_dump_errinfo(L826): smc 1 err, cmd 5, RTO ! [ 8.443662] [mmc]: *** sunxi_mci_dump_errinfo(L826): smc 1 err, cmd 5, RTO ! [ 8.445286] [mmc]: *** sunxi_mci_dump_errinfo(L826): smc 1 err, cmd 5, RTO ! [ 8.446911] [mmc]: *** sunxi_mci_dump_errinfo(L826): smc 1 err, cmd 5, RTO ! [ 8.448542] [mmc]: *** sunxi_mci_dump_errinfo(L826): smc 1 err, cmd 55, RTO! [ 8.450166] [mmc]: *** sunxi_mci_dump_errinfo(L826): smc 1 err, cmd 55, RTO! [ 8.451792] [mmc]: *** sunxi_mci_dump_errinfo(L826): smc 1 err, cmd 55, RTO! [ 8.453417] [mmc]: *** sunxi_mci_dump_errinfo(L826): smc 1 err, cmd 55, RTO! [ 8.455187] [mmc]: *** sunxi_mci_dump_errinfo(L826): smc 1 err, cmd 1, RTO ! [ 8.503675] [mmc]: *** sunxi_mci_dump_errinfo(L826): smc 1 err, cmd 52, RTO! [ 8.505846] [mmc]: *** sunxi_mci_dump_errinfo(L826): smc 1 err, cmd 52, RTO! [ 8.512301] [mmc]: *** sunxi_mci_dump_errinfo(L826): smc 1 err, cmd 8, RTO ! [ 8.514466] [mmc]: *** sunxi_mci_dump_errinfo(L826): smc 1 err, cmd 5, RTO ! [ 8.516626] [mmc]: *** sunxi_mci_dump_errinfo(L826): smc 1 err, cmd 5, RTO ! [ 8.518786] [mmc]: *** sunxi_mci_dump_errinfo(L826): smc 1 err, cmd 5, RTO ! [ 8.520946] [mmc]: *** sunxi_mci_dump_errinfo(L826): smc 1 err, cmd 5, RTO ! [ 8.523113] [mmc]: *** sunxi_mci_dump_errinfo(L826): smc 1 err, cmd 55, RTO! [ 8.525273] [mmc]: *** sunxi_mci_dump_errinfo(L826): smc 1 err, cmd 55, RTO! [ 8.527433] [mmc]: *** sunxi_mci_dump_errinfo(L826): smc 1 err, cmd 55, RTO! [ 8.529593] [mmc]: *** sunxi_mci_dump_errinfo(L826): smc 1 err, cmd 55, RTO! [ 8.531921] [mmc]: *** sunxi_mci_dump_errinfo(L826): smc 1 err, cmd 1, RTO ! The boot time to the login window is about 45 seconds with my SD card. 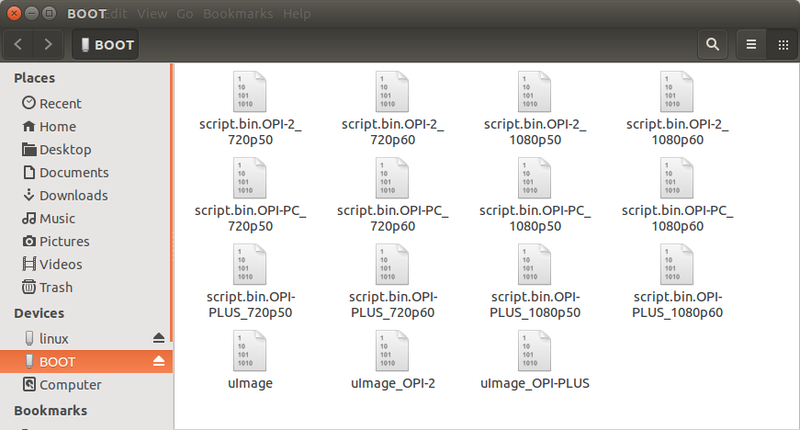 Loboris did not only provide binary images, but also the scripts to create a full image from scratch. 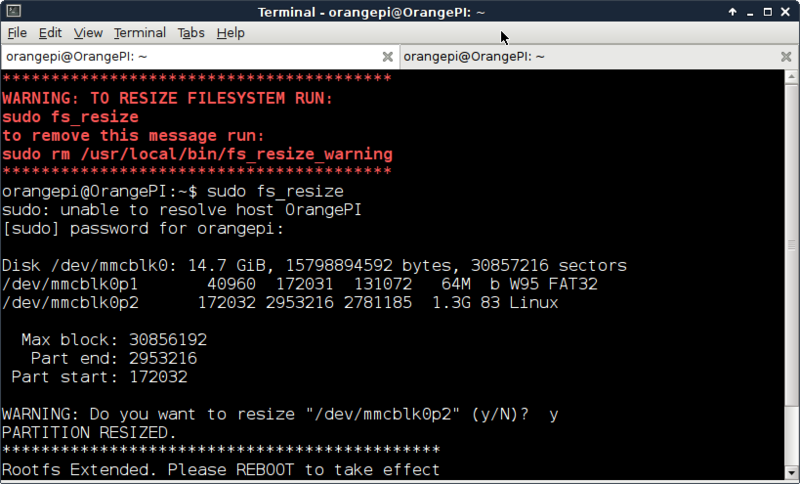 It won’t build the Linux kernel from source however, but you can download the Linux SDK from Orange Pi website if you wish to customize the kernel or build your own drivers. You can run the scripts to create an image in a Ubuntu or Debian computer, or even Orange Pi board itself. I’ve only modified the first two sections of the file in order to build a minimal Ubuntu vivid image with CNXSoftPI as the hostname. This will create <image_name>.img that you can dump to a micro SD card or explained in the first part of this post, as well as <image_name).img.xz that you can distribute. 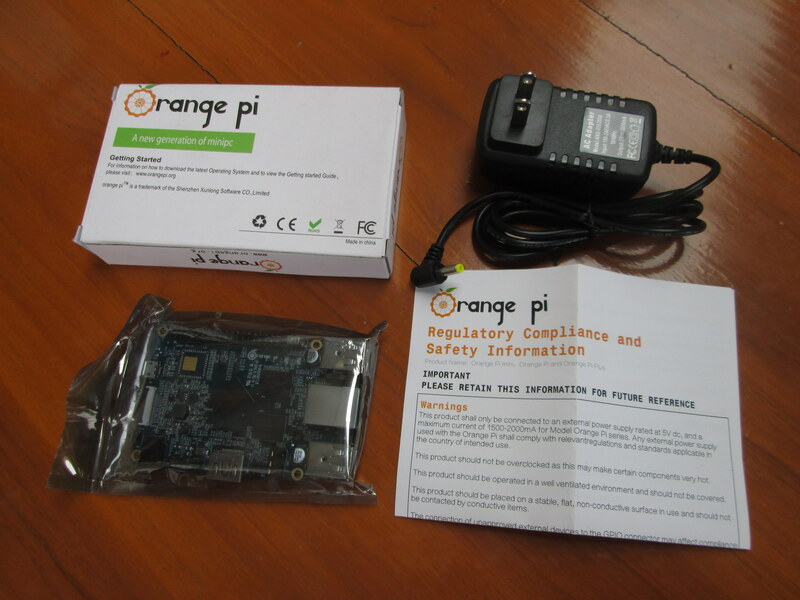 If you want to go further you may want to checkout Orange Pi Wiki, and checkout what others have done so far on Orange Pi Forums. Hi, is thi board usable with linux as desktop? is possible see an video review? I don’t recommend using it as desktop, unless you don’t need to watch videos (offline or online), don’t need Adobe flash support, and don’t need to play 3D games. Adobe flash support can be installed for Chromium but it will be slow. I’ve also read one guy plans to get Orange Pi PC to port OpenWRT to it, so there might be hope. For Android video playback, check Zidoo X1 review: http://www.cnx-software.com/2015/08/04/zidoo-x1-review/, and the comments with the updated Kodi “ZDMC” apk -> http://www.cnx-software.com/2015/08/04/zidoo-x1-review/#comment-433022, which fixes many of the issues I found in the review. It is a nice board, but you may want to use a USB hard disk or SSD with it (or go for the model that supports SATA. Alternately use some fast SD card. I have never used it for video playback; I don’t think the current kernel supports hardware acceleration. That’s a long post so you may not have read it, but I did test the image, and found out that both hardware video decoding and 2D/3D GPU acceleration were not working. Excellent review here, and thanks Jon for contributing the board! What kind of applications are best suited for the Orange Pi Flavors, vs boards like the BeagleBoneBlack (Green) or Banana / Raspberry Pi? Could you test the IR? Is it supposed to work with any model of infrared remote control or is a particular one required? how is H3 board’s cpu performance? would love to see how much it can run computation wise with 1GB memory. I ordered one and is waiting to experience that, thanks for the post! Bear in mind than in Orange Pi 2/PC Debian the CPU is @ 1.5GHz max, and in Zidoo X1 Android @ 1.2 GHz max. I’d need to install and configure LIRC in Linux, so I’ll probably skip. Having said that most IR remotes work at 38 Khz, and in the past I’ve worked on many different remotes, and they all worked with the same IR receiver. In case you ask for IR remote control to use the board as a media player, it will be easier and possibly cheaper to buy an Allwinner H3 box since you also need to purchase the power adapter ($5), a fast micro SD card ($8? ), and possibly the enclosure (a few more dollars). The box can’t be used as a media player in Linux (at least with decent performance, and certainly not at 4K resolution), and you’d need to go with Android. Banana Pi and Orange Pi quad core board should have the same limitations in Linux, and performance in Linux. (I can’t possibly follow all projects daily, so If I’m wrong Raspberry Pi 2 will be better if you plan to use OpenGLES or Video playback in Linux, and ODROID-C1+ is roughly equivalent to Pi for these two (again some people may differ)… For GPIO control, BPi, OPi, and RPi are probably about the same, except RPi will have more add-on boards, and it will be easier since more people are here to help on the forums. BeagleBone Black/Green is mostly good for those headless embedded projects where you need more control over I/Os, or lots of I/Os, although some projects do use the HDMI output or LCD display, e.g. CNC machine where BBB is used as a control panel. Edit: So finally I can play the video with mplayer, and it’s much better, but not really watchable in full screen since the framerate is too low. In windowed mode, no problem though. The big issue with AllWinner based boards is the terrible VPU and GPU Linux driver support isn’t it? This is why the Kodi devs gave up on Linux development for the platform ages ago. At one point it looked liked Allwinner could have been the ‘next big thing’ in Kodi – but the Raspberry Pi and AMLogic platforms have so much better support that they have won the crown for ARM-based Linux media player platforms. Modern Linux kernels have IR support built in. This built-in support can handle almost any remote using any protocol. But IR support needs to be turned on in the kernel. Hardware for IR support is trivial. Just wire the IR sensor to a pin that will interrupt on both 0/1 and 1/0 transitions from the sensor. Then hook it up in the device tree. LIRC is optional. Its only real purpose now is to record the signal from an unknown remote. Once the keys are mapped you can make a kernel IR keymap file and get rid of LIRC. The kernel support works by taking the IR signals, matching them against a keymap, and then turning them into simulated keyboard keys. Kernel IR support is not limited to a single remote. You can load in a 100 IR keymaps and they will all work. I tested the remote successfully, and that was relatively easy. But not from my aircon or TV remote, I assume the codes must be modified in some config files. What size is the power jack? Anyone knows if there is a chance to use a mainline kernel? This article explains how to do it…. 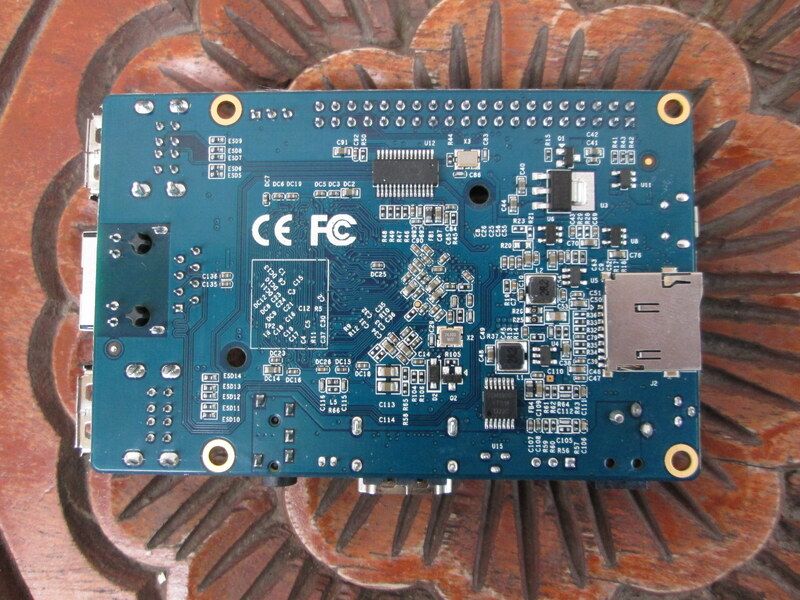 Some Orange Pi boards have been added to Linux 4.2, but I think these are the Allwinner A20 based only. I have not seen work done on Allwinner H3 specifically, but it’s a sun8i platform like A23 so maybe it might boot too. You may want to ask on #linux-sunxi IRC channel to check mainline status.